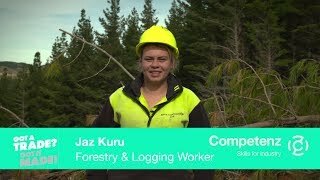 At Competenz we work with more than 3,500 businesses and 20,000 learners each year – so we see and talk to a lot of people. The majority of the apprentices we work with fit the profile of Kiwis most likely to experience mental illness – men aged 20 to 24. And many of their employers we work alongside fall into the second most likely age group to experience mental illness – 45-49-year-old men. A recent study by the Building Research Association of New Zealand found the New Zealand construction industry has the highest percentage of suicide for employed men of any industry. It cited a culture of "toxic masculinity" or the "take a concrete pill and harden up" attitude, boom and bust cycles, drug and alcohol abuse, customer demands, and conflicts between young and older men on site. Competenz’s industries won’t be immune to some of the results cited in this survey and while the New Zealand data is stark, it’s a reality. Mental illness impacts individuals, their whānau and wider community – including their workplace colleagues. We want our Competenz community to know we are aware of the issues faced in your businesses today. October 8-14 is Mental Health Awareness Week with the theme ‘Let nature in’. We wanted to share a couple of great resources people can use to support wellbeing at work. This toolkit includes fact sheets, tips, tools and templates to make it easy for you to support your teams to build the ‘five ways’ into their daily lives. Meaningful conversations about mental health and wellbeing don’t have to be hard conversations. Being able to talk about our mental health, including our thoughts and feelings, is a sign of connection and a good attitude towards health at work.